Kakadu Tours and Travel has great Kakadu Deals and can assist you with your Nothern Territory Holiday, if it’s adventure you’re after or a more laid back approach we have something to suit everyone in and around Kakadu, including Darwin, Litchfield & Katherine. Save on your Kakadu and Northern Territory Tours. Contact us today for great Kakadu and Top End tour deals and excellent service. 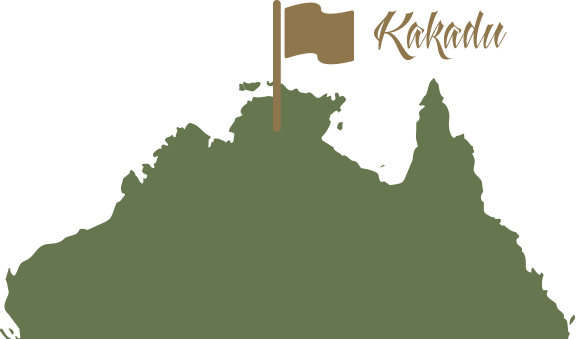 For Darwin, Katherine, Litchfield & Kakadu tours contact us for great service and advice. Kakadu tours range from Small group tours to larger coaches and vary depending on individual requirements. We offer camping tours, accommodated tours, small group luxury tours, private charter and itinerary ideas for self-drive holidays. 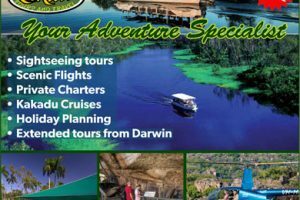 $30 off Advertised Price / Selected Kakadu Accommodated Tours 2, 3 and 4 day selected tours departing Darwin. Book before 30 April 2019 for all 2019 departures. 3 Day Kakadu & Litchfield Camping Tour 3 Day Kakadu & Litchfield Camping Tour $610 (normally $630) including Park Pass, this tour is great for the young or young at heart. 3 Day Kakadu National Park Camping Deal This 3 Day Kakadu National Park Camping Deal at $610 (normally $630) is perfect for backpackers or the young at heart looking for a small group 4WD adventure. Located in Jabiru, Kakadu Tours and Travel can assist you with your Northern Territory Holiday with GREAT DEALS! Camping tours, accommodated tours, small group luxury tours, private charter and itinerary ideas for self-drive holidays. From catching a Barramundi on a Fishing Tour, cruising on the famous Yellow Water Billabong on a Yellow Water Cruise, enjoying the Cultural Experience on the Guluyambi Cruise or visiting Arnhemland, learning about indigenous culture and history whilst enjoying the stunning scenery of billabongs, wildlife and the escarpment country or discovering the breathtaking views of Kakadu National Park from the Air on a Kakadu Scenic Flight. Kakadu is a truly unique place in Australia. and the world, with around 1,000 plant species, a quarter of all Australian freshwater fish species, and over one third of Australian bird species found in Kakadu National Park. Kakadu tours range from Small group tours to larger coaches and vary depending on individual requirements. They can include the must see escarpment and gallery of ancient Aboriginal rock art at Ubirr or Nourlangie Rock, the magnificent Jim Jim and Twin Falls area or the natural beauty of Yellow Water where the birdlife is amazing and the waters are dotted with lotus flowers, and beneath the saltwater crocodiles lurk. The Top End of the Northern Territory is quite unique and if you have never been it is important to get the right information. Kakadu National Park tours depart within Kakadu and from Darwin, please contact us and let us make your holiday all it should be! New for 2019 this 3 Kakadu Arnhem Land & Litchfield Tour is a great mix of culture and waterfalls, choose either safari tents or air conditioned rooms. Only requires a moderate level of fitness. 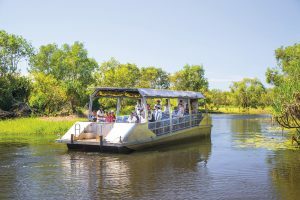 Book your 2019 Kakadu National Park Tours direct with a local Kakadu Company. Get in early and save on special offers.